Everyone else can vow to go to the gym and eat healthier in 2012. 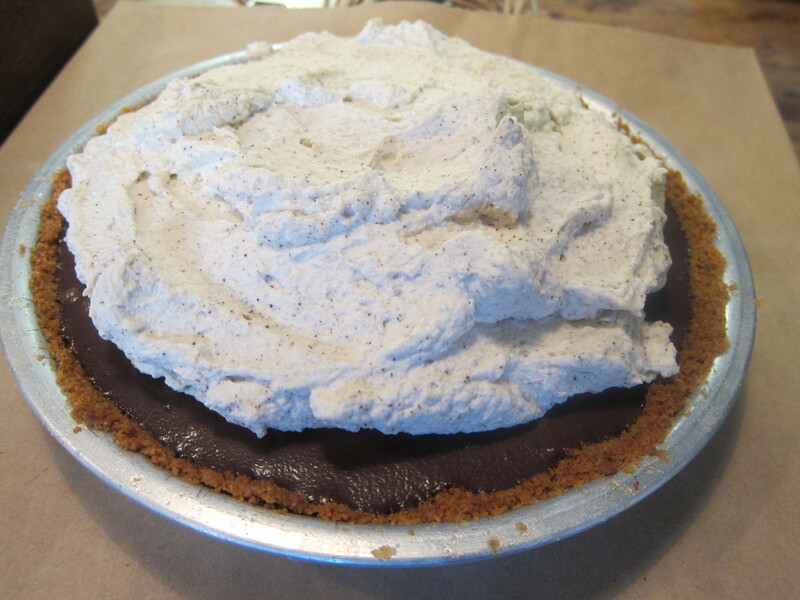 My New Year’s resolution is to eat more pie. Obviously I’m kidding; well, maybe half-kidding. But even if I tried to watch it with the sweets, it would be difficult since I just discovered what is possibly the best pie I have ever tasted. It’s a Maple Custard Pie and it puts all other pies heretofore consumed by me to shame. This pie is the perfect combination of a sublime buttery not-too-sweet crust and an incredible caramelized custardy filling. 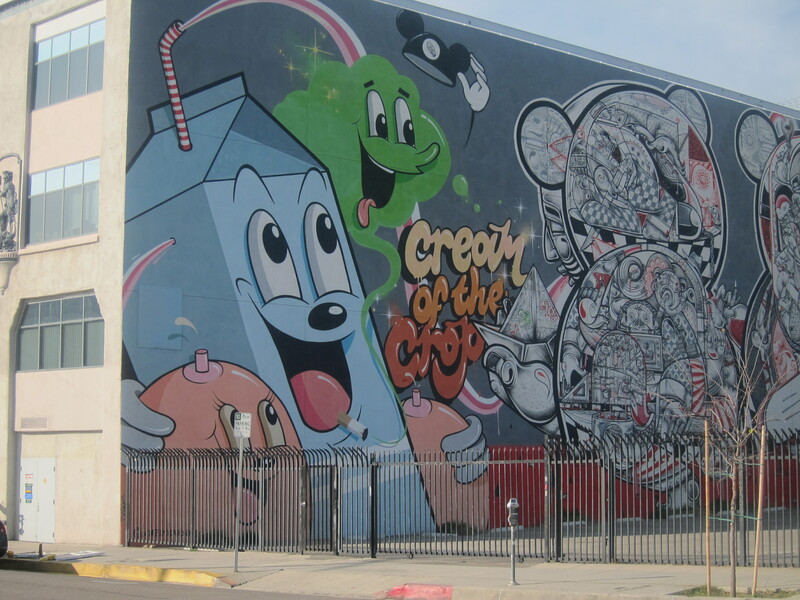 I found it at The Pie Hole, a new pie joint packed with vintage-wearing, Weezer-listening hipsters and located downtown in the über-hip Downtown Arts District, right across the street from über-hip Wurstkuche. The Pie Hole has a limited menu inscribed on hanging rolls of butcher paper each day of both sweet and savory pies. 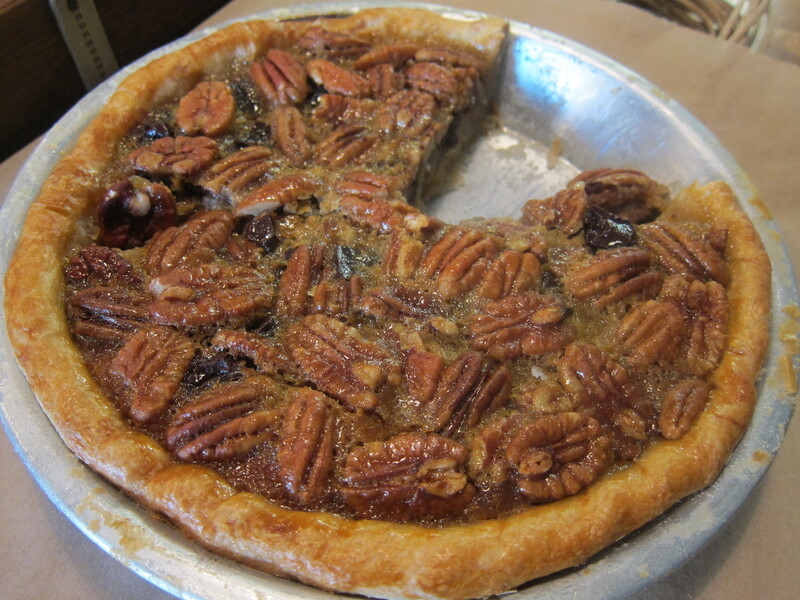 The daily pie offerings depend on what’s in season and what looks good to the Pie Hole’s bakers at local farmer’s markets that week. All the pies are baked on the premises and sold, along with great organic coffee, until they run out each day. 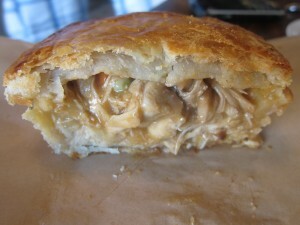 The last couple times I was there, the savory pies included a tasty Chicken Pot Pie, a Mac-N-Cheese Hand Pie and a Burrata, Tomato & Basil Pocket Pie. The sweet pies included Lemon Meringue, Poached Pear and Cranberry, Mexican Chocolate and Bourbon Chocolate Pecan. 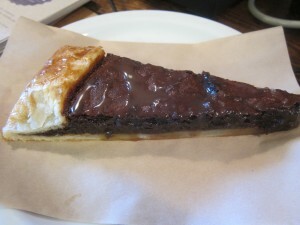 They also had a delicious Chocolate, Caramel and Sea Salt Crostata (which is technically not a pie, but a shallow tart baked on a cookie sheet) as well as a triangular Peanut Butter, Chocolate and Almond “Pie Bar.” Every pie I tried was good, but the clear stand-out was the Maple Custard. It’s hard to put a price on perfection, but most slices cost around $6. This is comfort food at its best and worth every penny. 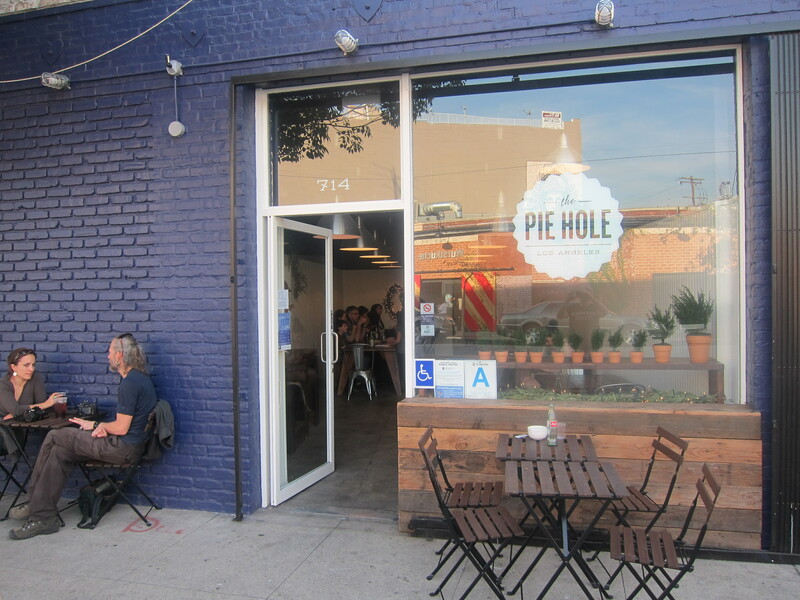 The Pie Hole is located at 714 Traction Ave., Los Angeles (Downtown). 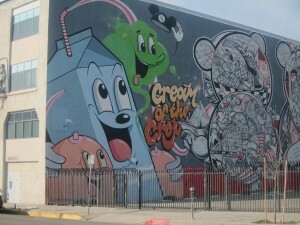 I love the Downtown Arts District! 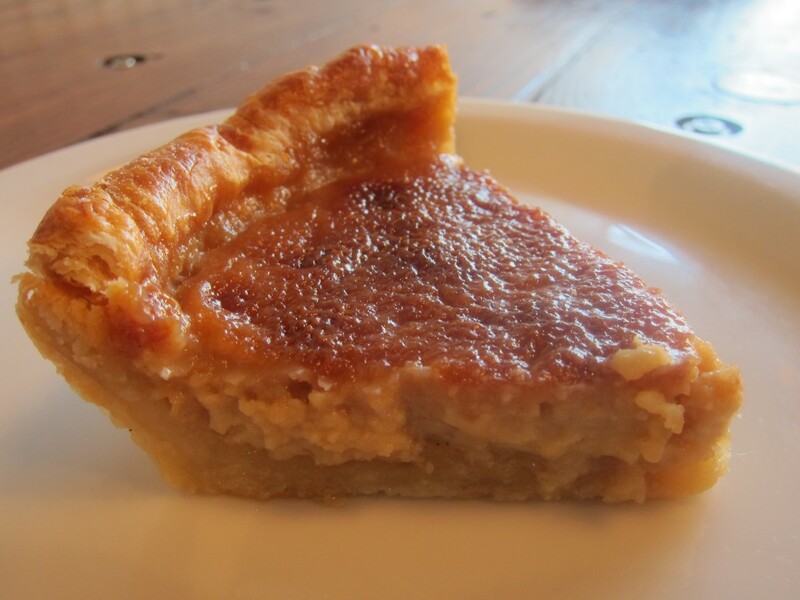 Just had the Maple Custard Pie…orgasmic! It’s actually almost dairy free (I am one of the unlucky “Lactose Intolerant”…except butter, weird, I know). I’m just glad that I don’t live THAT close, they would have to roll me out of that place. Pie Hole…best pie, I’ve ever had. I thankfully also do not live that close. 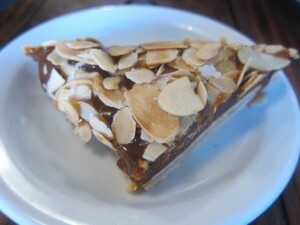 I pretty much think about that Maple Custard Pie everyday!